A small group of photographers and filmmakers from the Alpha Imaging Collective along with Artisan of Imagery Colby Brown are in the midst of a once-in-a-lifetime adventure deep into the Australia Outback. Among the Collective members on the trip is Connor Surdi. 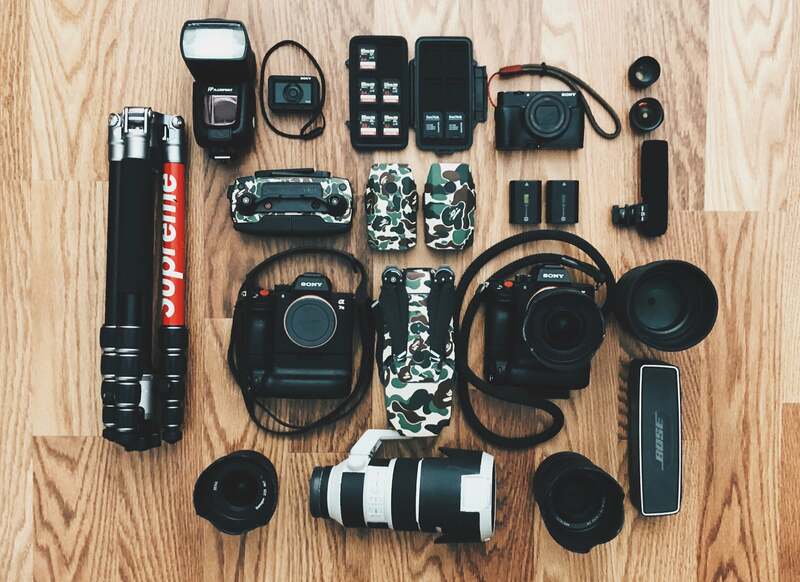 We caught up with Surdi to find out more about the Sony cameras, lenses and other gear the photographer packed to capture the epic experience. Sony α7R III: α7R III is obvious. It packs everything I would ever need/want in a camera... Plus it has resolution for days. Here it has my Rokinon 14mm f/2.8 manual lens that for my extra wide landscape shots. Sony α7 III + Battery Grip: This is my secondary body to my α7R III. The files are not too huge while being able to pack a similar punch to the α7R III. I usually keep a wider lens on this body when I am using two bodies simultaneously. RX0: Small powerful little camera in those instances that I don't want to carry around my α7's. Great for video and action shots just in case I need something tiny and portable. 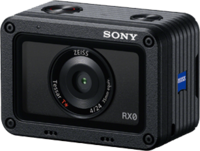 Sony RX100 V: My favorite walk-around camera! I literally bring this camera everywhere. It fits in my little pack and weighs nearly nothing while being able to produce quality crisp images. Sony FE 85mm f/1.4 G Master: The 85 is my favorite lens in my arsenal. That 85mm compression + the f/1.4 is....heaven! It allows me to really separate my subject from the background. It has a distinct look and I just love it. Sony FE 70-200mm f/2.8 G Master: For when you need those close up images. This is the only zoom that I currently own and the versatility while having f/2.8 across the zoom range is amazing. Sony Planar T* FE 50mm f/1.4: One of my favorite lenses ever. It’s so much more than a ‘nifty fifty’! it’s a great focal length for portraits, not too wide, not too close and it gives me a great working distance. And it's f/1.4! Zeiss Batis 25mm f/2.0: I've always preferred prime lenses over zooms and this lens is one of my favorites. It’s a great walkaround lens that can capture some great wide scenes. Paired with the resolution on the α7R III, I can crop in and the image will still be perfectly usable. Rokinon 14mm f/2.8 Manual Lens: I use this lens for ultra-wide landscapes. In the picture, it’s on my Sony α7R III where I can take advantage of the camera’s huge image resolution. Sony FE 16-35mm f/2.8 G Master: I rented this lens for the trip to Australia. I wanted to be able to have some flexibility in my shots because I plan on mostly shooting around f/5.6 and up for the landscapes in Australia. Having one lens to get both very wide and close to ‘normal’ is super convenient. Also, it's incredibly sharp! Sony 2x Extender: I got this so I can make my 70-200mm f/2.8 into a 140-400mm f/5.6! Then when I use the 1.5x cropped mode, it brings it to 600mm! That’s just nuts! Extra batteries: I have six batteries between my α7R III and α7 III bodies. They both take the new Sony Z battery which helps make the two bodies a good pair to have when traveling. Six batteries is a lot, but you can never be too prepared! Sony Mic: To get that extra crispy audio, clearly. MeFoto Tripod: I like to have a small travel tripod to keep my luggage and my hiking pack fairly light. It folds up very compact and attaches to my backpack easy peasy. Flashpoint Flash: Just in case I need that pop from the flash in the shot or I need some fill. DJI Mavic Pro, Two Extra Batteries and Controller: When I am shooting I love to get every perspective to tell a complete story. Wide, mid-range, telephoto and sometimes aerial. Memory Cards: You can never have too many fast SD cards. Moment Wide & Tele Lenses for Mobile: I like to switch it up on mobile every now and then and these lens attachments let me do that. Wireless Speaker: Because a random dance party can happen anytime, anywhere. MacBook Pro: I need to edit on the go and the battery in the MBP lasts extremely long! Also... Airdrop. Between being able to transfer photos from my Sony cameras directly to my phone and also being able to transfer images from my laptop directly to my phone, all in areas with limited internet, I’m fully covered. ThinkTank HD Streetwalker Pro Backpack: I’ve owned this backpack for at least five years now. It fits all of my gear easily and looks good. You can follow Connor Surdi on Instagram @connorsurdi. Connor Surdi is a member of the Sony Alpha Imaging Collective. Follow all of their adventures on Instagram https://www.instagram.com/connorsurdi/.